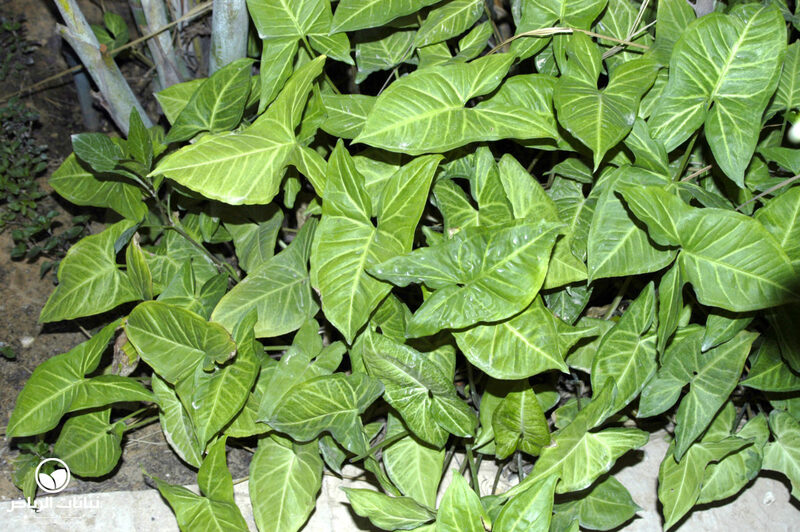 Native to tropical South America, the Arrowhead Vine is a lush plant for a private garden in Arriyadh that has a suitable microclimate. 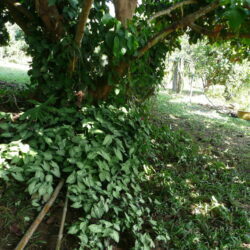 A perennial, evergreen, climbing plant attaining about 1.5 metres, it is more often seen as a creeping groundcover than a climber in a tropical garden. The attractive, patterned leaves are alternate, simple, arrow-shaped and often mottled; deep-olive-green leaves have prominent white veins. 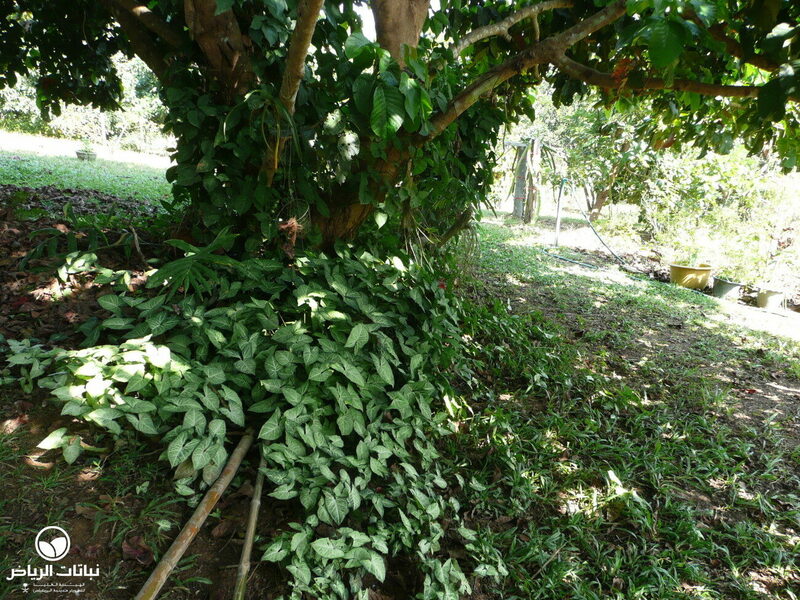 Numerous cultivars have been developed that vary in size, shape and colour, and the foliage of some of them is somewhat cream-coloured with green edges. Young leaves, divided into three, deep-cut lobes, are rounded at the tips and up to 15 cm long. When older, they can be up to 25 cm long and are divided into more segments. 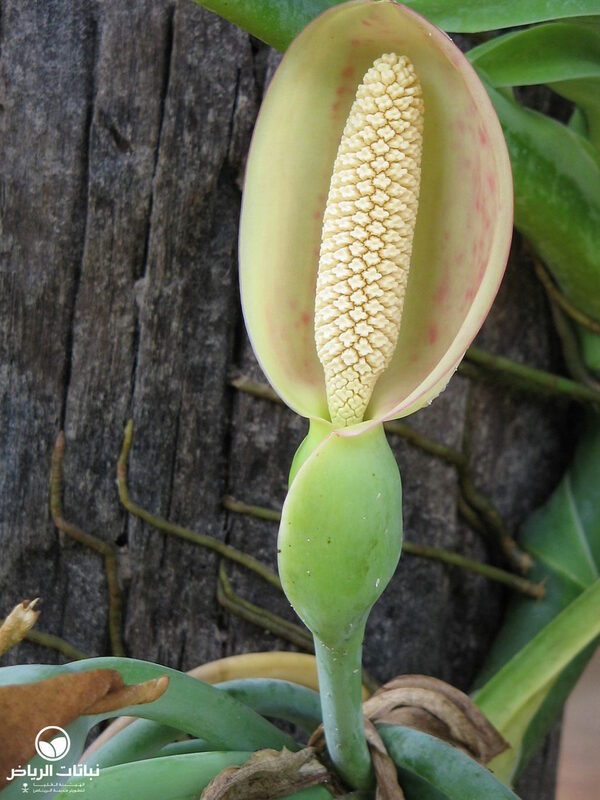 The flowers bloom on an elongated whitish spike. Syngonium requires moist, fertile, garden soil and a minimum winter temperature of 16°C. The plants also require high humidity, meaning that misting the leaves regularly, as well as protection from cold weather, is necessary in Arriyadh. They need strong but not direct sunlight, and abundant water from spring to autumn, with less in winter. Fertilising improves growth in spring and summer. Propagation is by cuttings or air layering. 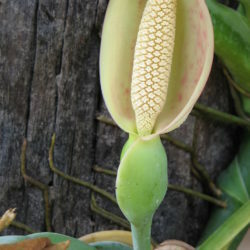 Syngonium species are often grown as house plants; they are also good container plants on patios. Climbing stems can be pruned away and the plant will become bushier and the leaves more attractive. 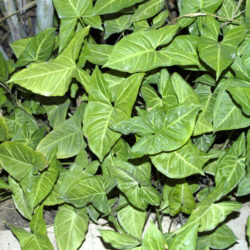 The Arrowhead Vine is a high-maintenance plant requiring special attention for it to be grown in Arriyadh.